You are spoiled, simply spoiled, when it comes to wonderful food and drink in Spain. There are however those more spoiled than others and I posit that anyone in Catalunya or the Basque Country lives like “el rey de mambo” with immediate access to the top wines of the country as well as a blend of fresh sea and mountain ingredients that’s hard to beat. It’s easy to get complacent about this and you can often forget that there is a wealth of food and drink across Iberia very much worth exploration. 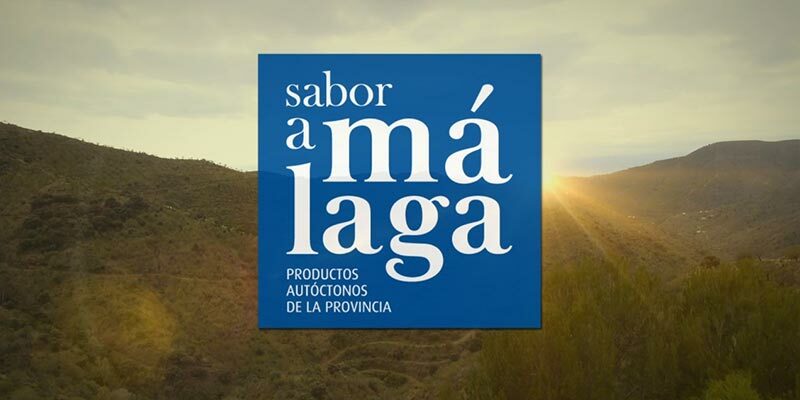 Thankfully, the Diputación de Málaga is on something of a promotional campaign at the moment called, “Sabor a Málaga” which is working with 400 providers in the province to show that in addition to the sunny beaches, they have a high quality culinary as well as vinous offer as well. They arrived to Barcelona last week and presented a menu of local products cooked by Malagueño, Sergio Garrido along with wines from the region. I won’t go into the dishes at great length other than to say, the authentic “Ajo Blanco Malagueño” soup is worth checking out if you get the chance. And while I usually don’t eat goat because they make such wonderful cheese, “Chivo Lechal Malagueño” is indeed a tender, succulent meat. For those who adore seafood, there’s even more to enjoy. During this lunch it was the wines that were of most interest as they, along with other regions in Andalusia, have a curious growing climate. If naming a wine from the South of Spain, most (if geographically astute) would choose Sherry. But there are other regions as well and they hold a vastly different aspect than what is found in Sherry. Indeed, it’s damned hot in the summer, as anyone who has been to the aptly named, “Costa del Sol” can tell you. 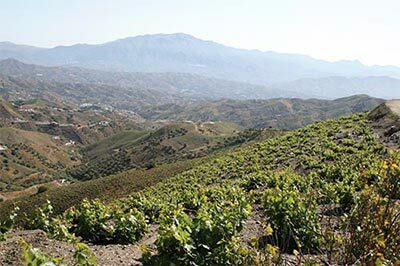 But, from those shores there are a series of mountains that shoot straight up to 500 and even 700m and are an altogether different climate in DO Málaga and DO Sierras de Málaga. The have whites and they have reds. They have dry and they have dessert. They even have wines aged in criaderas, that system of barrels in stacked series that’s found in Sherry–as well as Montilla-Moriles just to the north of Málaga. As is seen in other regions such as DO Terra Alta near me, elevation can make for some wonderful white wines. This in turn makes for some wonderful oxidized wines like the one served from Pedro Ximénez. The trade off however is that the elevation shortens the growing season in a strange way and the reds come up a bit stunted with rather two dimensional red cherry notes. The only other place I regularly taste this is in the red wines of Central European areas such as Austria, Hungary, and Northern Croatia. I’ve yet to understand if it’s fully due to growing conditions or winemaking as you don’t see this in say, France’s Burgundy or Loire reds. Ultimately, it was an eye-opening taste that definitely left me wanting more, especially as some of it (as is often the case in Southern Spain) is just criminally-priced and offering up outstanding bargains to the savvy consumer. Light tea leaf notes, peach, aged pear, oxidized aspects of toffee, caramel, rich touch of wool, lemon brine. Nice dried flower notes. Medium plus length and acidity, aged under flor and similar to Manzanilla but more soft and rich. Overall exceedingly rich and luscious and at a price that’s just ludicrously low for anyone who appreciates the Southern Spanish style of lightly-oxidized wines. From old vines of 80-100 years, sits on lees for eight months. Prominent green fruit, green plum, sweet white pear, light grapey notes. Delicate floral aspect of white blossoms, good deal of yellow peach as well, pressed flowers. Sweeter on the palate and more orchard fruit, very well-preserved, high acidity, complex palate, dry medium finish. Light, cured cherry with light raspberry, red plum, dark spices, cardamom, cloves, sage, backing spice, and a scratch of orange peel. Good shake of blue currant as well, smells a lot like Central European reds. More oak on the palate. Drying, medium plus tannins, tight on the palate, medium finish and alcohol. Simple and pleasing but lacking in length. Dark cherry, bit volatile in the nose, muddy earth, and lacking a great deal of definition. Crisp and broad on the palate, seems like a touch of acetic quite dominated by the 12 months of barrel treatment and comes up rather short. Very rich, honeyed nose, touch of botrytis, dried fig and apricot, light touch of chalky notes. Full and rich on the palate with lower acidity than is necessary to push through more than a mid-length finish. Palabra. Spoiled rotten; so much exciting diversity throughout Andalucía. Thank you Miquel for your note on how elevation can alter or even weaken the growing season in some instances. Solid point that made me reconsider a wine’s potential for complexity and achievement of balance through vinification. Not all are amazing from the region but there are a number that are getting quite good. Barranco Obscuro, while definitely natural-leaning, is well-made and enjoyable.